Almost every month there’s a new fitness fad; a new system, class or piece of equipment promising the world and proclaiming to be a “complete body workout”. But when they’re all so different, how can they each be the magic bullet? In the last 20 years, scientists have found a new appreciation for the brain’s ability to change, and its role in how we move efficiently. The way we move affects how we feel, and our attitude to movement affects the way we move. Positive neuroplacticity (purposeful, non-habitual actions) can improve our quality of life, while habitual, repetitive unconscious activities can lead to decline. Despite our age or ability, we are all fighting the same elements: time, gravity and inertia. In this discussion, we will address ways to change your attitude towards exercise and find a fitness regime that improves more than just your body. Instead of tuning out while working out, tune in to yourself. Rather than punishing yourself, use your workout to nurture yourself. Tailor-make a routine that has you craving to do it! Sonja Johansson has over 30 years’ experience in movement and somatics. In her quest to address the perennial question, “Which is the best workout for me?”, she has investigated countless fitness disciplines and become a practitioner of a select few. She works with clients of all abilities, from those who avoid exercise or have difficulty exercising due to pain or neurological conditions, to weekend warriors, fitness junkies and professional movers. Sonja teaches Pilates, TRX, Nordic walking, global body weight training and fitness coaching, all through the lens of the Feldenkrais Method®. 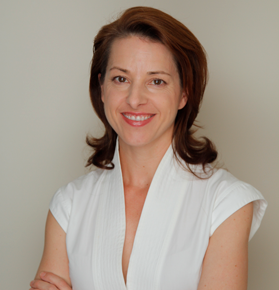 Sonja Johansson is a Guild Certified Feldenkrais Practitioner® in private practice since 1999. She works with individuals and teaches group classes–in various forms from pilates, Nordic Walking to Strength training–all through the lens of neuro-motor retraining.